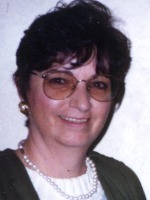 Barbara M. Morrell of Martin, MI passed away Friday, February 27, 2009 at her home. Barb was born October 8, 1946, in Vicksburg to Edward and Lucille (Williams) Laws. Barb was an Otsego High School graduate, she enjoyed raising her children, camping, horses, farming, sewing, being a homemaker and cooking. Barb and her husband owned and operated Schnable Lake family campground for 10 years. On July 20, 1974 at their farm she married Ken Morrell, who survives. Also surviving are her children, Debi Hileski of Otsego, Bruce and Brian Boettcher of Martin, a step daughter, Shari; other children, Rick Counterman and Glenda Pillars; 8 grandchildren, Amber, Andrea, Drew, Kenny, Jacob, Dakota, Matt, Natasha; 11 great-grandchildren; her siblings, Ed (Marty) Laws, Allan (Karin) Laws, Jessie (Ed) Jankowiak, John (Michelle) Laws; her father, Edward (Virginia); brother-in-law, Dave (Lynn) Morrell; her friend who was like a sister, Esther Foote; many nieces and nephews. Barb was preceded in death by her mother and stepchildren, Diane and Charles. Friends may meet the family from 6 to 8 P.M. Sunday at Winkel Funeral Home where funeral services will be held Monday at 11:00 A.M., Dave Reed officiating. Contributions in memory of Barb may be made to the American Cancer Society or Diabetes Foundation. Zach Warren of Otsego, MI passed away, Wednesday, February 25, 2009 in Kalamazoo. Zach was born June 3, 1926 In Marion, IL, the son of Brooks and Faye (Barham) Warren. He graduated from Marion Township High School in 1944. Upon completion of Army service in 1946, he enrolled at Southern Illinois University in Carbondale, IL. During this time, October 12, 1946, he and Jeanette Walker were united in marriage. Zach and Jeanette moved to Ann Arbor in 1947 and Zach then enrolled in the University of Michigan. He graduated in 1950 with a degree in Music Education and again in 1954 with a Master’s Degree in Music Education. Zach later attended Western Michigan University where he graduated with a Master’s Degree in Elementary Administration. He was employed by the Otsego Public Schools for 38 years, first as a band director and later as Elementary Principal. He was a life member of the Otsego Elks #1711 and of V.F.W. Post #3030. He enjoyed playing the trumpet in the Otsego Community Band and the Jazz Ensemble, golfing and hunting. He is survived by his wife Jeanette; a son, Craig (Leslie) Warren of Plainwell; many nieces and nephews who loved Zach very much, and many friends. He was preceded in death by his son, Roger on August 31, 2008. There will be no visitation. Cremation has taken place in accordance with his wishes. A memorial service will be held Saturday, March 14, 2009 at 10:00 A.M. at the Otsego United Methodist Church, Pastor Joe Shaler officiating, with a service by the Otsego Elks #1711 and Military Honors by VFW Post #3030. In lieu of flowers, those desiring may make memorial contributions to Christian Neighbors or to the charity of your choice. Shoot your age. Lucinda Kaye ‘Sindie’ Peacock of Otsego, Michigan, passed away Sunday, February 22, 2009, at her home with her family by her side. Sindie was born June 14, 1944 in Kalamazoo to Andrew Sr. and Winnie (Mentor) Truax. 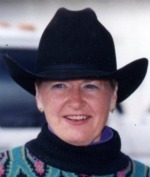 She was a horse enthusiast and for many years was self-employed caring for, training, breeding and stabling horses for others. In her leisure time she enjoyed reading, collecting horse figurines, shopping for jewelry, watching her grandchildren in all their activities and spending time with them. Surviving are her daughter, Lisa (Dale Richard Orr) Harvey of Otsego and her children, Jessica, Chad and Bryan; her son, Randy (Cindy) Peacock of Plainwell and their children, Bethany and Grady; two brothers and two sisters, Andrew Truax, Jr. of Grand Rapids, Lawrence (Judy) Truax of Lake City, FL, Andrea (Herbert) Heighton of Paw Paw and Esther Wolthuis of Plainwell; one godson, Herbert (Lee) Heighton; many nieces and nephews. She was preceded in death by her parents. In accordance with her wishes cremation has taken place. A Memorial Service will be held at 2:00 P.M. Friday at Friendship Wesleyan Church, Plainwell, with Pastor Kevin Smith officiating. In lieu of flowers, donations may be made to Pastor Kevin Smith at Friendship Wesleyan Church toward the family’s funeral expenses. 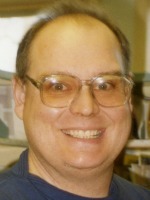 Jeffrey W. Walantyn passed away at Bronson Methodist Hospital on Saturday, February 21, 2009. Jeff was born March 9, 1958 in South Haven to Donald and Virginia (Newnum) Walantyn and was raised and worked on the family farm. He graduated from Bangor High School, where he was president of the FFA, receiving the Farmer of the Year Award in 1976. For many years he was employed with the U.S. Postal Service in Otsego and in Kalamazoo and served as the Union Safety Chairman. Jeff enjoyed reading and had taught himself to read at age 3. He also enjoyed camping, music, bowling, Euchre, softball and was an expert on sports statistics. He was very outgoing, made friends easily and was non-judgmental. He was a great uncle, treating all of his nieces and nephews as if they were his children. On September 22, 1990 in Allegan he married his sweetheart, Norma Warning, who survives. Also surviving are 3 brothers and 3 sisters, Mike (Roxie) Walantyn of Grand Junction, Patti (Jerry) Spate of Weidman, Don Walantyn, Jr. of Bangor, Dan (Melissa) Walantyn and Amy Paul, both of South Haven, and Suzi (James) Zurek of Seattle, WA; 25 nieces and nephews; 21 great nieces and nephews; numerous cousins; his brotherhood of co-workers and many friends. Friends may meet the family from 5 to 8 P.M.Thursday, February 26, 2009 at the Winkel Funeral Home, 207 E. Allegan St., Otsego, Michigan, where Funeral services will be held at 1:00 P.M.Friday, February 27, 2009, Rev. Fr. James O’Leary officiating. Burial will follow at Mountain Home Cemetery, Otsego. In lieu of flowers, the family requests that random acts of kindness be performed in Jeff’s honor. 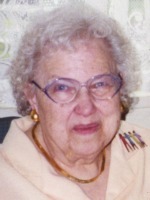 Joy Ann (Sullivan) Ryon, of Allegan, passed away Saturday, February 21, 2009, in Allegan. Mrs. Ryon was born October 18, 1919, in Akron, OH to Frank and Mildred (Joy) Campbell. For 28 years she taught 3rd Grade at East Grand Rapids Public Schools, retiring in 1979. Joy enjoyed bowling, knitting and quilting. She was a happy person and was the life of every party. On February 5, 1972 in Grand Rapids she married Lauren Duane Ryon, who survives. Also surviving are 3 daughters and a son, Suzanne (Jack) Dangremond of Allegan, Kathleen (Ken) Newby of Scottsdale, AZ, Beth (John) Kennedy of Kalamazoo and Bob Sullivan of Marquette; 10 grandchildren, Mike Johnson of Washington, DC, Debra (Chris) Clancy of Ludington, Sarah French of Paw Paw, Kris (Lesa) Newby and Kori Newby, both of Kalamazoo, Lori (Jaime Lamberty) Kennedy of Plainwell, John (Pam)Kennedy and Kelly (Brian) McFanin, both of Otsego, William Sullivan and Robby Sullivan, both of Marquette; great-grandchildren, Tori and Erin Clancy, Molly French, Kyan Newby, Melissa Walters, Heather Koziara, Joe and Joshua Bos, Meagan and Sara Kennedy, Chelsea, Paige and Aiden McFanin; one great-great-grandson, Jacob Walters; 5 step children, Doug Ryon, Theresa Barrenger, Lori Eisilones, Randy Ryon and Tim Ryon; several step grandchildren; a sister, June Simon of Galesburg; a brother, Jack (Doreen) Campbell of Charlotte; several nieces and nephews. Friends may meet the family from 2 to 4 and 6 to 8 P.M. Wednesday at the Winkel uneral Home, Otsego, where funeral services will be held at 1:00 P.M. Thursday. Burial will follow at Mountain Home Cemetery, Otsego. Contributions in memory of Joy may be made to the Allegan County Animal Shelter. Harm D. Meyer of Otsego, Michigan passed away Wednesday, February 18, 2009, in Kalamazoo, Mr. Meyer was born August 21, 1938 in Kalamazoo to Ben and Gladys (Wright) Meyer. For many years he was a self-employed roofer. He enjoyed being out-of-doors. Harm was loved and will be missed by his family and friends. Surviving are his fiancée, Kathy Houser of Otsego; 3 sons and 3 daughters, David Meyer of Otsego, Harm Meyer, Jr. of Plainwell, Cynthia Tompkins and Lauri Kling, both of Otsego, Ben Meyer of Kalamazoo and Vikki Meyer of Plainwell; 12 grandchildren; many great-grandchildren; a sister, Gladys Weld of Galesburg; a brother Larry Meyer of Otsego; several nieces and nephews. He was preceded in death by a daughter Terri Meyer, 2 brothers, Garrett and Bernie. Cremation has taken place and there will be no service at this time. Memorial contributions toward the funeral expenses would be appreciated. 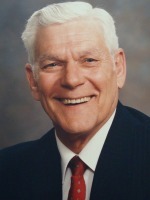 Joe B. Fitzpatrick of Plainwell passed away Tuesday, February 17, 2009 at his home. Mr. Fitzpatrick was born February 19, 1932 in Swampton, KY, the son of Charles and Grace (Howard) Fitzpatrick. He served in the U. S. Army and worked for the State of Michigan at the MichiganCareerTechnicalCenter (formerly S.T.I.) for over 20 years, retiring in 1992. He also worked for Martin and WaylandSchools and Valley Metal in Plainwell. He enjoyed following NASCAR, he loved his family and enjoyed spending time with his grandchildren. In 1951, in Angola, IN, he married Clarice Bailey, who survives. Also surviving are 4 children, Rodney Fitzpatrick of Shelbyville, Ronald (Maxine) Fitzpatrick of Cherokee Village, AR, Sharon (Phil) Anson of Plainwell, Kim (Mark) Bourdo of Plainwell; 8 grandchildren, Heidi and Kevin, Eric and April, Mark and Christina, Dana and Nate, Jodi and Matt, Hunter, Kim and Darren, Michelle; 8 great grandchildren, Madison, Tori, Bailey Jo, Ethan, Jeremiah, Kylie, Heather, Kaitlyn; 11 brothers and sisters, Henry, Etoyla, Della, Rose, Patsy, Bonnie, Donna, Paul, Barb, Faye and Carol; many nieces and nephews. He was preceded in death by his parents and a brother, Rick Fitzpatrick. Friends may meet with his family from 3 to 6 p.m. Thursday at the Winkel Funeral Home, Otsego. A funeral service will be held Friday at 11:00 A.M. at Martin United Methodist Church, with Pastor Chris Lane officiating. Interment with military honors will be at OakhillCemetery, Orangeville. Memorial contributions can be made to the American Diabetes Association or to Wings of Hope Hospice. 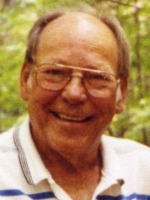 Dwain L. “Woody” Wood of Kalamazoo, MI passed away Thursday, February 5, 2009 in Kalamazoo. Woody was born February 2, 1935 in Port Sanilac, MI the son of Thomas and Louise (Weidel) Wood. He worked at James River for over 20 years retiring in 1993. Woody enjoyed golfing and camping, was a Red Wings fan and enjoyed NASCAR especially Casey Kane. On September 4, 1954 he married Barbara Potrykus who preceded him in death in 2004. He is survived by four children; Fred (Carol) Wood of Kalamazoo, Cindy Feher (fiancé Doug Loxton) of Port Huron, Shelley (Ed) Sharples of Kalamazoo and Lori Porter (fiancé Larry Jackson) of Port Huron and his dog and best friend, Max; 8 grandchildren and 13 great-grandchildren and many nieces and nephews. He was preceded in death by 4 brothers and 3 sisters. Friends may meet with his family Monday, February 9 from 11 A.M. until the time of service at Noon at the Winkel Funeral Home, Otsego. In lieu of flowers memorial donations may be made to Borgess VNA & Hospice Services.